Well, it would seem as though a group of rebel demons have managed to kill Satan. Seems quite a task to undertake. And while I'm generally not a fan of assassination, I think in this case I'll make an exception. It was Satan, after all. Anyway, the various souls that Satan used to maintain his power have been swept to the Forgotten Land. Those will have to be collected. The Rebels, as well as the Shadows (those loyal to Satan), have gone to the Forgotten Land to get them. But it's very misty and it's hard to find the souls, let alone know who your friend vs your enemy is. 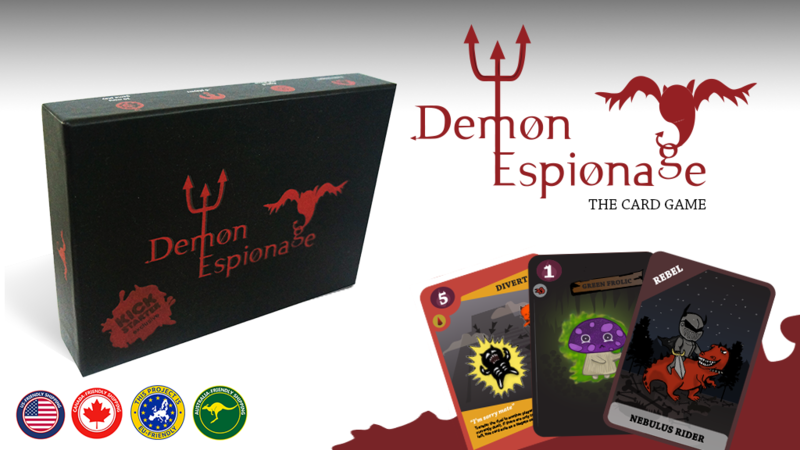 That's the story behind Demon Espionage, a new card game up on Kickstarter. 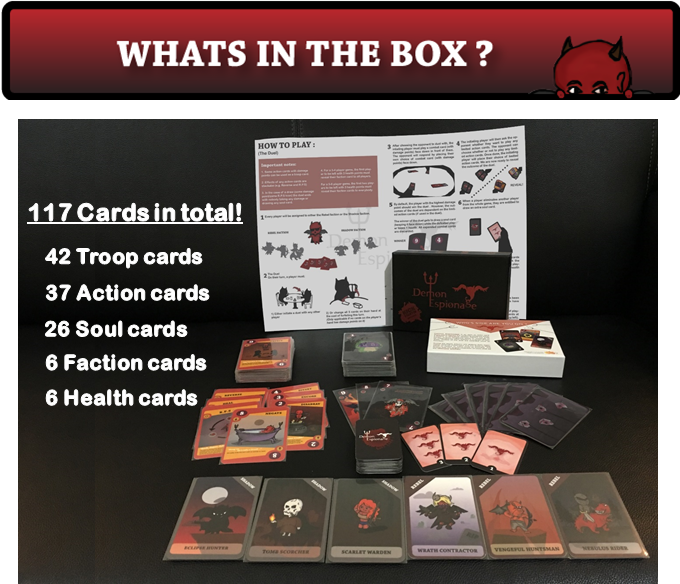 In the game, players are given a faction card, which they will keep secret. They'll also get a hand of cards that they'll use to duel other players. On your turn, you'll initiate a duel with another player, playing your cards face down and revealing them at the same time. High card wins. The winner gets to draw a soul card while the loser deducts a health. Besides just numbers, there are also special cards that can do different things when played. The game ends when one faction is eliminated or all the soul cards are gone. The winning team is the faction that has the most soul cards.